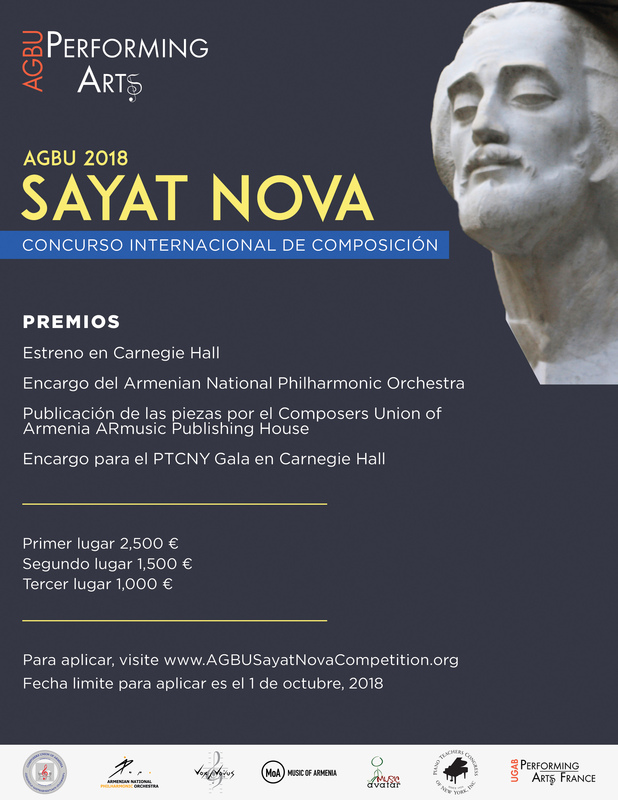 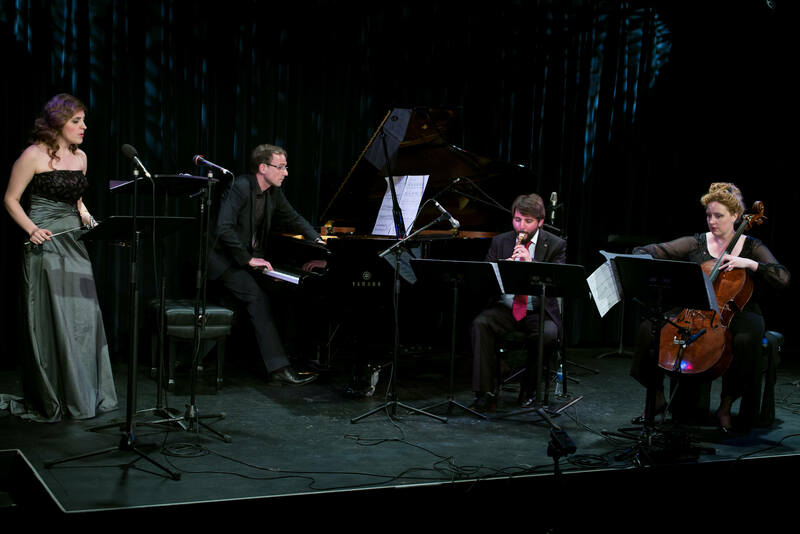 Since 2006, the AGBU PAD Sayat Nova Composition Competition has been inviting musicians of all heritages to be inspired by the grand tradition of Armenian arts. Winners have been named from all over the world, from Hong Kong to Mexico, Syria to France, each recognized for their versatility, ingenuity and artistry. 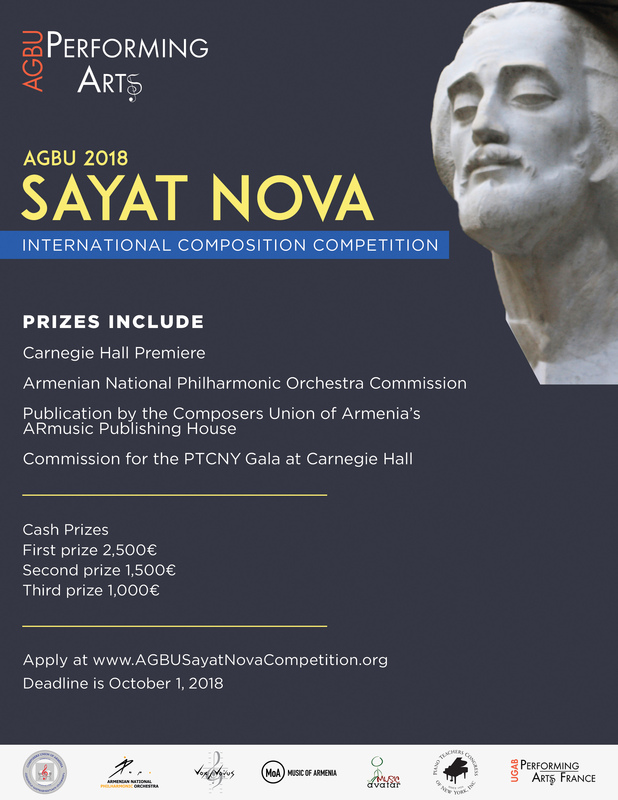 This year, focusing on the historic progress of women’s rights in the Armenian World, the competition announced revolutionary 20th century poet Silva Kaputikyan as the inspiration for competing composers. 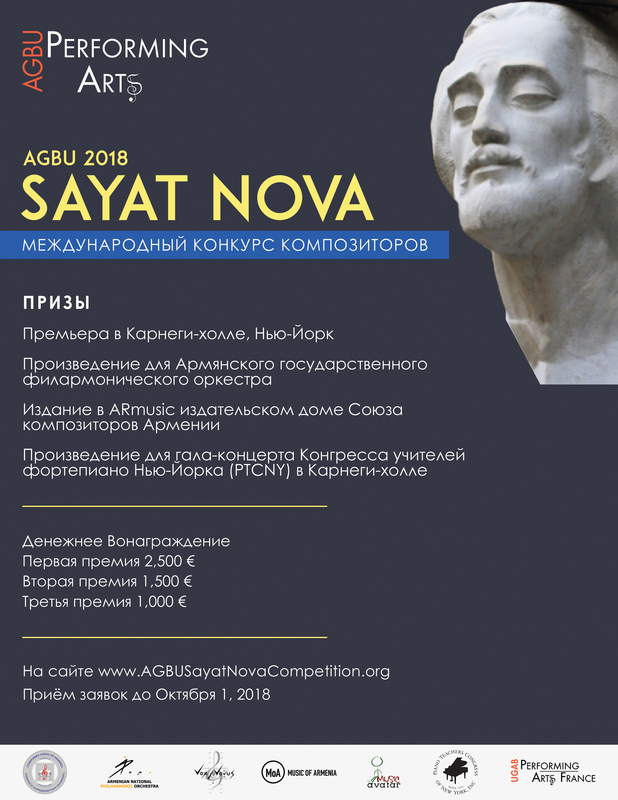 The winning compositions of 2018 are Aregnaz Martirosyan’s “Inqnutyun” (Identity) in first place, Bardy Minassian’s “Loure da Loure” by Bardy Minassian in second place, and James Maunders’ “Khosk Im Vordun” (A Word To My Son) in third place.